Hello everyone! I have a really easy way to create a fun pattern with some washi tape to use on a card, tag, or layout! I created mine on a standard card base size- 4 1/4" x 5 1/2". 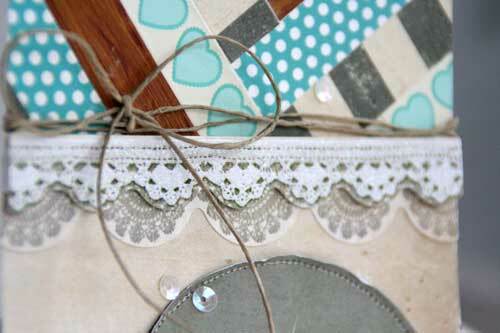 You will need at least 2 patterns of washi. 1. Draw a pencil line down the middle of your base. You are going to add a piece of tape at a 45 degree angle to your pencil line. Now, I just eyeballed mine, however, I noticed that my final design was a bit skewed, so it is important that you get a 45 degree angle (time to break out the protractor!). 2. 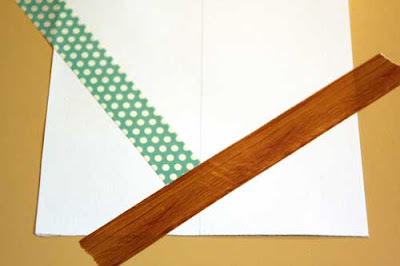 Now you are going to add your 2nd piece of tape to the other side, going in the opposite direction. You want the corner of this 2nd piece to be right on your pencil line. Be sure to cut the end of the washi in a straight line to give it a clean edge. 3. 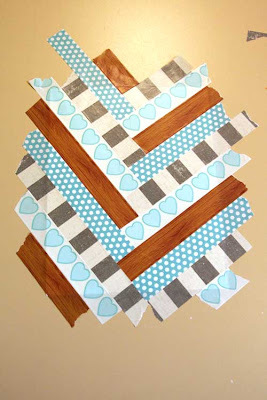 Alternating sides, keep adding strips of washi. Make sure you stick to the same pattern/order of tapes on each side. 4. 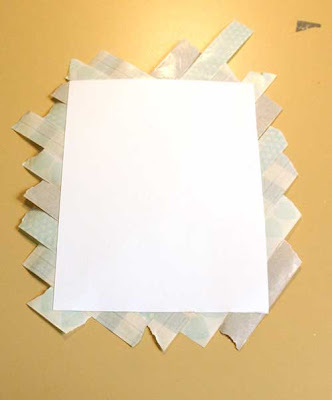 After your area has been totally covered, turn your base over and trim off all the excess tape! 5. 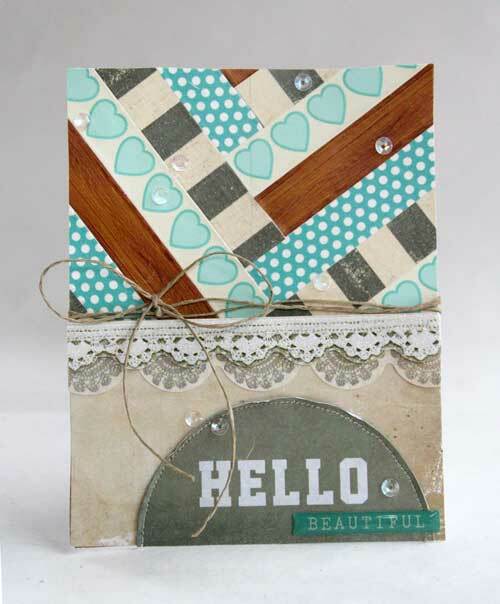 Now you can use it as a card base, cut out a tag shape, or even as a piece of patterned paper on a layout! Here is a simple card I made using my base. I kept it simple because of the busy pattern that I really wanted to stand out! Thanks for stopping by and have a wonderful Easter Weekend! I love it. Fantastic tut. Beautiful card. Thank you for sharing this fabulous idea, I must give it a try it looks so effective. 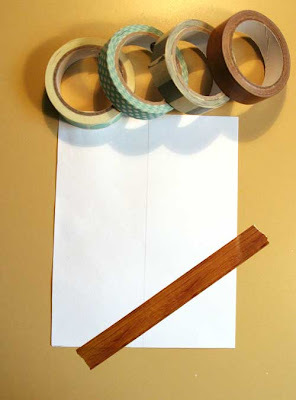 What a super easy design trick with HUGE impact! Thanks for sharing! what a CLEVER idea--makes your card SO interesting--LOVE it! Little Man- GCD Studios "Charleston"
Love This Family! GCD Studios "Pure Bliss"